delorean [REL/VC] HQ Stock Delorean! There is it! 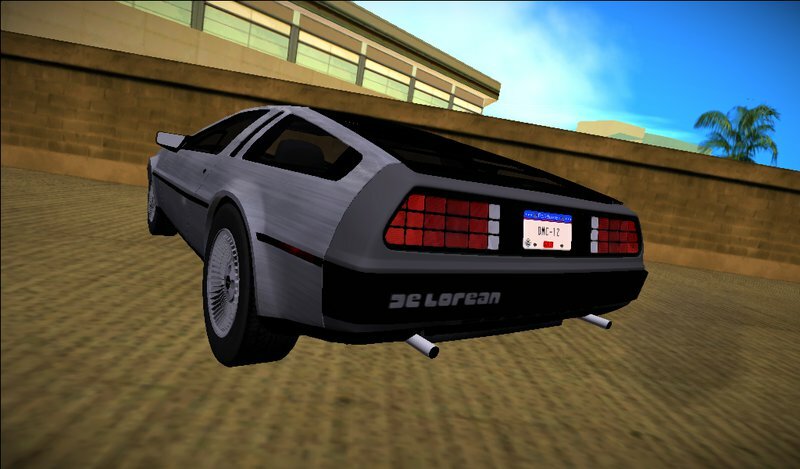 From Forza Motorsport 4, HQ Model of Stock Delorean! But, wait. there is more! Sorry For Low Quality Images. what's wrong with the one that's in the game now? Nothing is wrong with the ones we have now. Carlos' 0.2f DeLorean models are the most accurate you will find, anywhere. Period. I can only assume mr blue flash hasn't played 0.2f so hasn't seen them? Carlos Cars Are Not 100% Correct ! And There is [Forza Delorean] [TDU Delorean] [GT6 Delorean] There is a lot of deloreans models. GTA Community stop using scratch models from 2008. Hello? any body home? Think Mike, Think! 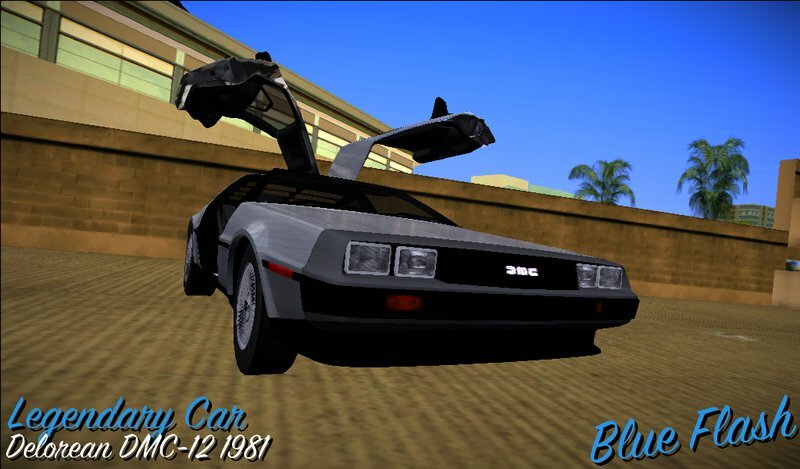 What about a DeLorean time machine?, can you get it from Forza, TDU or GT6 too? What about the AMC Eagle?, any Studebaker?, the Alco locomotive that destroyed the DeLorean in Part III? Also, does it fit to our needs?, because it needs to be gray interior, black lettering on the rear bumper and sills, no DMC logo in the headrests, GoodYear Eagle GT tires, no visible exhaust tails... and it needs the time machine variations, even the ones that are part of the "BTTF" universe and were not shown in the real movie prop cars (like a completelly new chassis for the post-hover-conversion-installation time machine)... So, real-life accurate?, yes; BTTF-accurate or at least useful?, no. And then, imagine having TellTale Games' Clocktower combined with our Courhouse Square, or Forza's stock DeLorean with TellTale Games' DeLorean Time Machine. What happens then?, they don't look right together, they won't fit together in the same medium, no matter how much you stretch your supension of disbelief. What about modifications to them? any would look patched (at least, that's how I now see the DeLoreans prior to 0.2F) with the rest of the model and out of place with its environment. Even though it's posible, it's not preferred. Again, it doesn't have to be 110% accurate to real life, but it has to fit our and the plot's needs. An example: our 0.2F DeLorean time machines models do not have the neon tubes behind the flux dispersal coils or the fire extinguisher nozzles inside the cooling vents; why?, because those were for the obvious practical effect of glowing and steam, respectively. Should we add the letter "A" (the movie prop identification) marked on the driver's side door or the box that has the dial for the film crew to switch the neon tubes on too? after all, it's real-life accurate and they even show up in the movie, even though it breaks the illusion. It's great that you're converting these great-looking cars, and I'm sure a lot of people will enjoy them, but they're not that useful for the mod and, unfortunally, there are no current models out there that are. you say that "does it fit to our needs?, because it needs to be gray interior, black lettering on the rear bumper and sills, no DMC logo in the headrests, GoodYear Eagle GT tires, no visible exhaust tails... and it needs the time machine variations"
I can make what you say, let's take the challenge! Those are some of the minimum needs for the stock DeLorean, and the time machine variations are much more time-consuming and research-needy. As I see, you just took one of the points I made in my previous post and only made your "challenge" in response to it. Does this "challenge" also cover how the model will look in contrast with everything else or how it will satisfy the lack of plot-relevant vehicles not made by our team? I'd say that you should not bother, but it's your call. I'm not very sure we'll use it unless we decide it fits with everything else. Take as much time as you want, or none, because we're not challenging you, but show us yo' moves, if that's what you want. As a recommendation, you'd better start with something different than the DeLorean, to show us what you can do. Better try the AMC Eagle or any Studebaker prior to 1955. I Have the Studebaker Lark 1959 And Studebaker VIP 1947. AMC i don't think so. You won't get in the team by just a one-time, two-time or even three-time contribution. You will be credited for your work, but the mod team is making custom stuff all the time. I'm sorry to anyone who thinks this looks like I'm moving the goal posts, please tell me if it does as it is not my intention, but I think we need more than conversions (that, sorry again to say, might need pruning to reduce detail and mantain stability and usability). I think we need more than conversions. I agree Carlos, and in all likelihood there is no permission for the conversions, so we couldn't use them anyway. Regardless, I won't consider anyone else's Delorean models. Yours look awesome. Plus is flash checks the image gallery he will see it's already in GTA IV and looks superb. By the way, Blue_Flash: not angry at all. My italics are to show emphasis on the words. I think we're having a nice discussion. I'm trying to come out as clear as I can with analogies and asking rethorical questions for you to ponder and tell us your point of view. I don't want to be condescending and I'm sorry if it seems that way. I'm being as sincere as I can be. Please continue modding, but the mod team needs something different. I inderstand That i'm not welcome here, good bye. but i will share my own deloreans in GTAinside. And i notice that wheel bumping level in deloreans ( GTA Vice City ) is too high. First, I'm not proud to be with you, in mod team. because all models are outdated ( i think you need to use the time machine and travel to 2015 and see the HQ World, Hello? any body home? Think ~Leaf~, Think ). Second, i just want to share with you this models, i don't want them to be in mod ( as i said " I'm not proud to be with you, in mod team" ). I'm going anyway, i just want to see how people in 1955. i'm going back to my home 2015, wait a min! i need plutonium to back to the future! First, I'm not proud to be with you, in mod team. I have a couple of PM's from you that state otherwise. Please, stop being deceptive. because all models are outdated ( i think you need to use the time machine and travel to 2015 and see the HQ World, Hello? any body home? Think ~Leaf~, Think ). Welcome to the world of old game engines, where the polycount of the whole world is forced to be lower than a single vehicle from Forza. The game engine won't support too many of these cars for our purposes. It's built that way. We won't include them in our releases, but the community is free to use them as they please. ( as i said " I'm not proud to be with you, in mod team" ). Say hi to Queen Diana for me, and I've heard Vietnam is a great place for surfing. I think this is where I'm going to draw the line. Please, stay on topic about this DeLorean model. PS: I apologize if anyone gets a message trying to edit the posts or trying to reply. I moved the topics, but changed my mind and moved them back. Models get outdated. Why does that make them bad? You rip them from Vice City into GTA V sure it looks like s**t it wasn't made for that game. Half of the models made by the team in 0.2f are new. Made recently. Making them in date? idontgetit. I would like to watch this guy play Back to the Future on the NES and complain about that not being "HQ" <- that's the only time I've ever heard someone use that instead of Hi-Res. How old are you? 21? The model that have 1mb in dff is Good? HQ must be more than 9mb in dff and HD Textures. I don't have any problem with runing HQ Models in my i7 Laptop. And also my models are ripped from Forza (LOD0) They Have at least 9mb in dff. if you have a problem with loading, you should use stream memory fix, change it to 128 and see. You are in the present. but the Future is mine. Blue Flash, if you want to discuss about it that's fine, that's what these forums are for. But don't become impolite please. I for my part so far held off on giving my opinion because of the expected form of answer. That doesn't really allow for proper discussion. N.B. : We already have streaming memory increased to 512 MB, yet we're having crashes because we're operating this close to the engine's limits. To prevent that we already reduced complexity on car models. I'm 23. Close though I respect that. Also its not a matter of someone's computer being able to run it, its that the Vice City couldn't handle it. Mini-Me put it best by saying it would be prone to crashes by exceeding the game engine's limits. Nice Ad-Hominem coming from you . Mini-Me already replied with the tech stuff. It's great your computer can load a big model; how many big models can Vice City's game engine load? I changed my italics to underline, to make the emphasys more obvious. "HQ" = High Quality = More Polygons = High Size = More Than 9mb in DFF. Be Smart, Be Safe. @Carlos85G @timetrain @Mini-Me I'm Nice, But stop hating my models. i said the truth, @Carlos85G Models are not 100% Correct and they are look cartoonish. I don't hate the models! Forza is badass! But they are not yours so I'm confused why you are getting offended/defensive over them. What do you mean? i convert them to GTA Vice City.